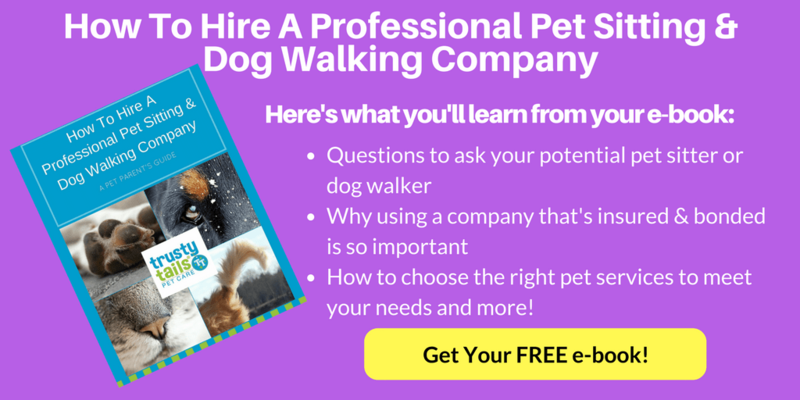 You are here: Home / Hiring a Dog Walker / Why Choose a Professional Pet Sitter? Have you ever been away from your house, and woken up in the middle of the night in a panic not knowing where you are or how you got there? This feeling may only last for a few seconds, but those seconds are terrifying and confusing. What makes you think that our cats are any different than we are? When we go away for a weekend or longer and board our cats in a facility, we not only create this scenario for them, but their panic lasts longer than a few seconds. Cars are very aware of their surroundings. When they are taken from their familiar habitat and thrust into unknown territory, their little worlds are flipped upside down! Not only do they not know where they are, they don’t know where YOU are. What’s the solution to this problem? Hire an in home pet sitter, a professional pet sitter for your cat! A professional pet sitter who takes care of your cat and provides him with many benefits! Your cat’s routine is not disturbed at all. He can stay in his own home, lie in his favorite sun drenched window, and play with his favorite toys and cat nip. The care given by a professional pet sitter goes above and beyond what any boarding facility can provide. Your pet sitter will provide fresh food and water, scoop the litter box, brush your cat and give him lots of love and one on one play time! Your pet sitter will come 1-3 times per day and can even stay overnight…..365 days out of the year! A professional pet sitter for your cat offers no black out days. A professional pet sitter will put you at ease knowing that your furry family member is safe at home. A professional pet care company, such as Trusty Tails, will keep you updated with emails, texts and even a photo or two to show you the wonderful care your cat is receiving while you are away! You’ll also be happy to know that your pet sitter can give your home that lived in appearance which is an added measure of security and safety. Making the choice to allow an in-home pet sitter to care for your cat while you are away may be one of the best ways to show your feline exactly how much you love him! Call Trusty Tails Pet Care to set up your complimentary consultation today! Helpful Read: The Hazards of Asking a Friend to Pet Sit.